So stupid simple, it’s embarrassing to call this a slow cooker baked sweet potato recipe. After you try sweet potatoes in the slow cooker, you are never going to make sweet potatoes any other way again. This slow cooker baked sweet potato recipe is too easy. The results are too delicious. There just isn’t a good reason to cook them any other way. 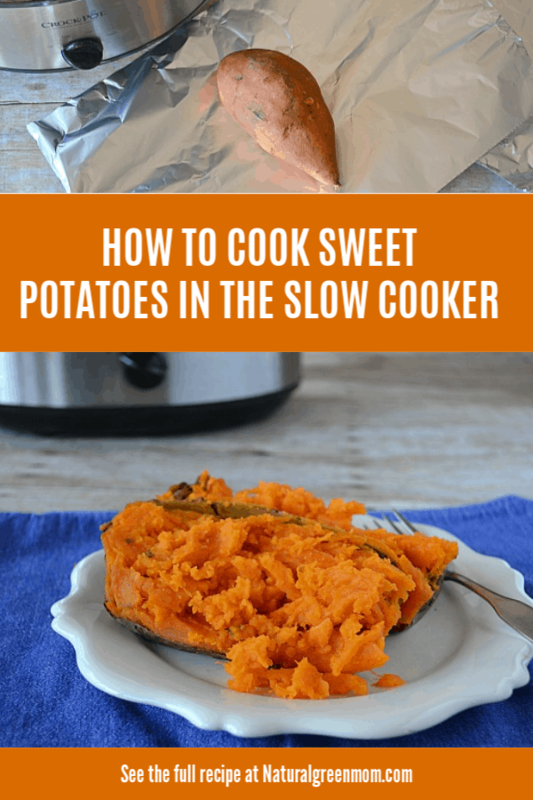 Here’s exactly what I love about this recipe: I have never made sweet potatoes in the slow cooker and had them turn out under done. You know what I’m talking about, right? When you’ve baked your sweet potatoes for a full hour only to cut into them and find out the middle is still kinda hard and under cooked? Microwave them a bit to try to get them “just right”? Put them back in the oven while everything else gets cold? Start on the rest of your dinner and eat the potatoes as a second course? This does happen to other people, right? Making sweet potatoes in the slow cooker means you can set it and forget it. It’s perfect for the working mom. The size of your slow cooker is going to determine the number of sweet potatoes you can cook. My slow cooker is a 7 quart. I can fit between 4 and 6 sweet potatoes in it. I make sure to cook as many at a time as I can. We can put away some sweet potatoes in this house! Wrap your sweet potatoes in foil. It protects them from burning. It also makes clean up easy. The foil can then be recycled. If you have concerns over cooking with foil, you can skip it altogether. I have baked potatoes without it with great success. 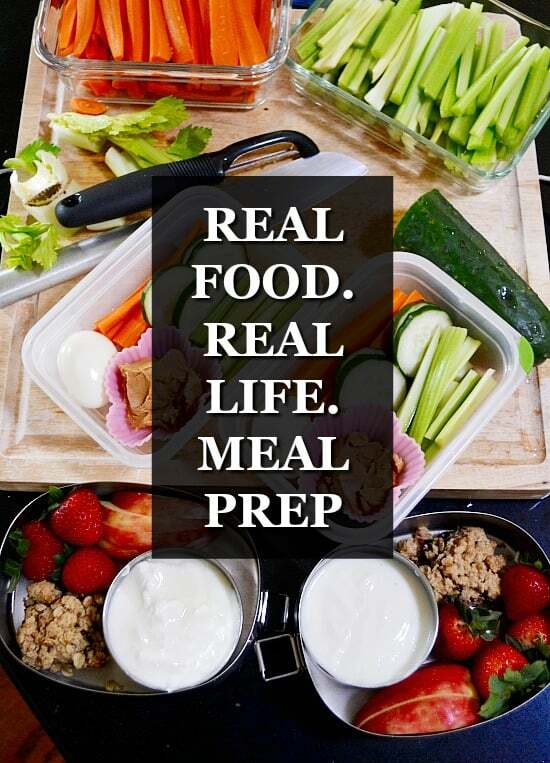 This recipe has a long cook time – 8 hours. If you think you’ll need them in the slow cooker for a longer period of time, I’d recommend a programmable slow cooker that automatically switches to warm once the cook time is over. Look how fluffy this slow cooker baked sweet potato turned out!!! Wash and pat dry 4 to 6 sweet potatoes. Add to slow cooker. Cover and cook on low 8 hours. Carefully unwrap potatoes and serve. See??? Stupid Simple! But honestly, great results every time!